SEO for accountants requires a strategic plan to achieve excellent results in Google and Bing. Tax season is in April in the United States, but your strategy needs to take place many months before this to yield the results you desire. This guide should act as a checklist for you to follow to achieve better results in organic search within Google and Bing. In this post, I will break down some SEO tips for accounting firms and what you can do to drive more search engine traffic to your site today! If you would like assistance with your business, I offer SEO Coaching to discuss strategy with your site along with Boston SEO Expert services on an ongoing basis. Bing’s audience tends to skew older and more affluent when you compare it to Google. Bing powers the search for Yahoo and AOL as well, so optimizing for one engine powers three places. In the United States for desktop search individually, Bing powers about 20% of the market when you combine Bing, Yahoo, and AOL data. Bing’s average household income has 40% make more than one hundred thousand dollars a year, so money management is a top priority. Most SEO strategies for Google will work for Bing, but there is more you can do to drive more Bing traffic to your site. I wrote a blog post about 9 easy steps to drive more Bing traffic to your site that should help with your strategy. Name, address, and phone number are critical signals to help Google and Bing understand your local presence. Moz Local is a free tool that displays all your business listings on the web. Moz Local displays listings that are not claimed nor created too, so you can see if you should create a listing on Yellow Pages or not. Online listings include places like Google +, Yelp, Yellow Pages, and more. A benefit of filling out these online directories is that you can increase your referral traffic from people starting their search for something that is not Google. Google my Business Listings and Bing Places for Business are critical to have if you want your accounting firm site to show up in their results. Google and Bing both display map results directly into their results when a local search happens. In a traditional Google and Bing search, you will see ads at the top, map listings in the middle, and current organic listings below that. Let’s say that your business serves the Nashville community and you want to be found at the top of Google for a range of terms. 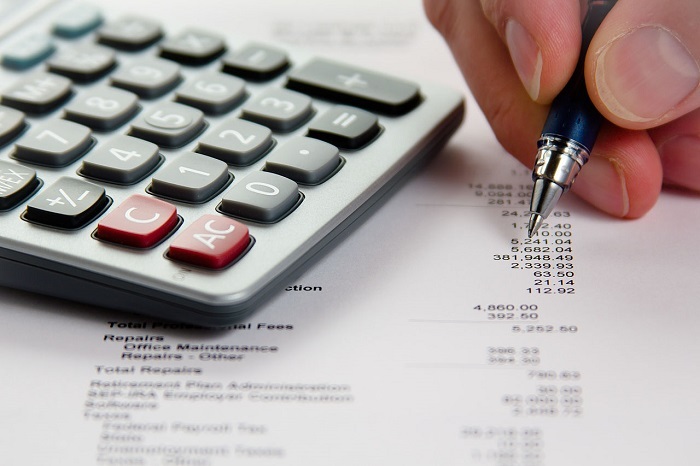 Your company provides services like investment portfolio review, tax reporting, tax planning, and more. Perhaps you have your target city within the Title Tag, so you think what else I can do? 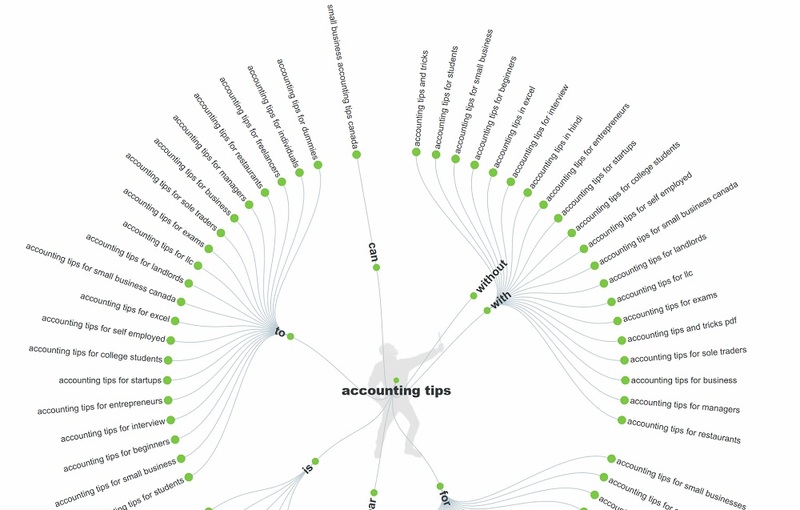 Discovering the best SEO keywords for accounting firms requires a proper strategy using Google, Bing, and a few tools. My advice is to have a blog that covers long-tail keyword search topics that answers people’s questions. Your core service pages can’t be tens of thousands of words that cover many issues, so the blog acts as a funnel to drive people to your core offerings. Blogs are easy for people to share and naturally link to, so an internal link back to your service pages will transfer SEO authority to other pages To find the best SEO keywords, I present my five favorite free search tools to use. Answer the Public is a free tool that compiles search data, intent, and emotions from various results to provide questions around a topic. With Answer the Public, you can find hundreds of ideas to cover for your website in seconds. Another neat think you can do for your accounting website is to have a frequently asked questions section that can answer these questions in a sentence if that is easier for you too. 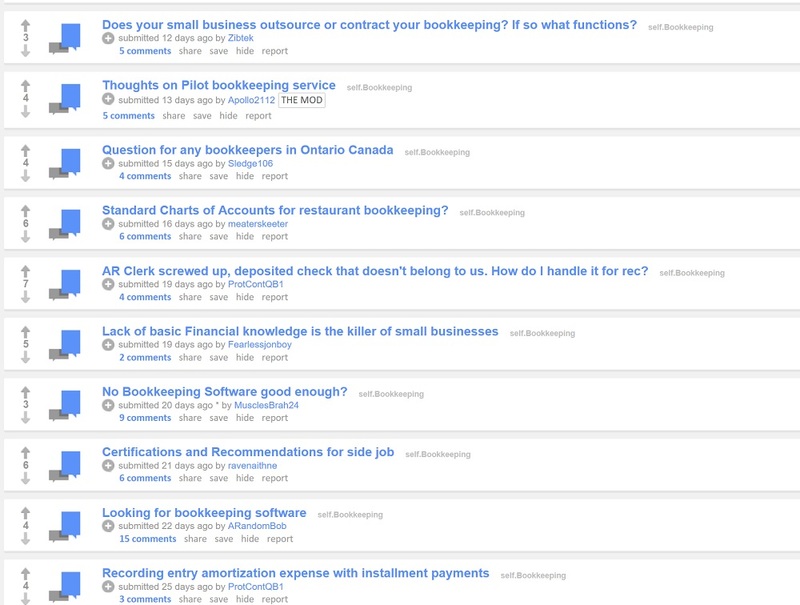 Reddit can be a gold mine for bookkeeping professionals. While Answer the Public gives aggregate questions, Reddit is showing you real questions from real people. Seeing a topic that sparks a lot of comments in Reddit would tell me that this topic is worth covering on my website. Regardless if Google says that there is little search interest around this topic, I know that someone could not find the answer on the web, so they posted the question to Reddit to find a solution. 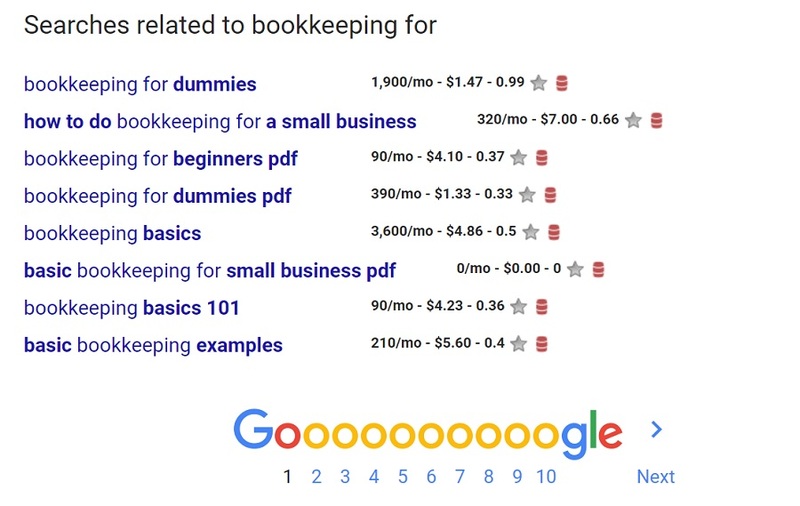 If you want your business to appear on Google, you should study the results and terms Google presents. You will find auto-suggest and related search queries at the bottom of Google, so scroll down to the bottom to check them out. By using the Keywords are Everywhere plugin with Chrome, I can get an idea of the monthly search volume that each term yields in Google. My advice to anyone reading this guide is not to dismiss search terms that yield low search volume. Google is in the ad business to make money, so they downplay long tail queries in the hope you will pay for short queries. Another reason to write for the no search volume words is that most marketing professionals don’t bother covering these topics. Instead of doing the same thing everyone else is doing, I advise clients to take the opportunities that others don’t want to take and run with it. Google Search Console and Bing Webmaster Tools offer incredible insight into your SEO strategy. Both tools will run weekly SEO reports for your site, so you can see if there are any low-hanging fruit opportunities. You can request both search engines to crawl and index your new content within the tool, so this can speed up rankings for your website. If you would like to see how I perform Free SEO reports, you can check out this video for a local accountant. This guide was more of a compass of best practices to follow for accounting businesses to win in SEO. Elements that I did not go over include schema markup, competitor research, speed optimization, clear architecture, backlinks, and more. There is more to search engine optimization than those elements too, but this should give you a boost to your strategy. If you want to grow your business online, I offer a Free SEO Audit that can help find specific opportunities to help improve your online presence.